Our Black Foodie Caribana day party is back and it’s bigger and better! It’s the battle of the West Indian snack! DOUBLES vs. PATTIES, who ya got? Doubles are a Trini street food made with delicious flavourful chickpeas stuffed into two pieces of fried dough often topped with tamarind sauce. Jamaican patties are flaky pastries filled with anything from curried beef to veggies. Both are amazing snacks, but we’re back this summer to see which snack wins the Black Foodie heart! 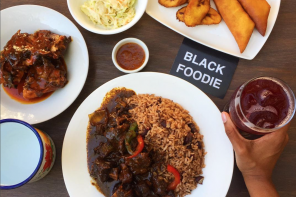 Come thru to Black Foodie’s annual Caribana lunch party and enjoy complimentary doubles and a patty alongside a mouth-watering summer menu created by Chef Joe Friday of Underground Chef Co. 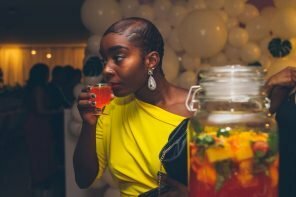 Drink up at the bar with a tasty rum punch and other tropical cocktails while DJ Marlon Mack spins soca, dancehall, and old school reggae. Everyone wants to party Caribana weekend, but who’s ready to EAT. We are. And so are you. Chef Friday’s menu includes a Caribbean inspired BBQ selection which include vegan options. Stay tuned for full details! Tickets are $20 till JULY 28. Grab them HERE! Oh, and you have to bring your own tamarind sauce. Sorry! Questions? 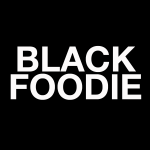 Email Elle at blackfoodie@gmail.com or by text 1-647-921-1165. 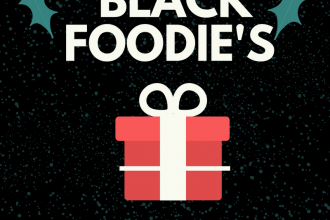 Black Owned Treats, Drinks and Catering for the Holidays in Toronto! Previous articleInjera + Chill is BACK! Get your tickets!